Single-ended triode amplifiers (SETs) have a considerable following, but even their most devoted fans admit that its maximum power output is not among an SET's strengths. You'd be lucky to get an SET that puts out 7Wpc, and some (like those using the 45 tube) are closer to 2Wpc. Highly sensitive speakers (eg, horns) will tend to offset the power limitation, and SETs usually sound more powerful than their measurements indicate, but the laws of physics still apply: 2W is 2W, regardless of the kind of amplifier that produces it, and an amplifier's manner of clipping and recovery from overload take us only part of the way toward achieving greater volume. There's something special about big tube amplifiers. No other audio component has such a primal appeal or can so quickly reduce grown (?) audiophiles to Homer Simpsons sighing, "Mmmmm...toooobs." 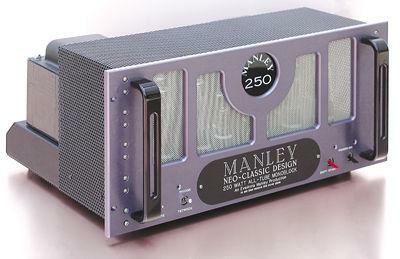 EveAnna Manley, president of Manley Laboratories, understands the effect of high-powered tubes on the audiophile brain and shares the obsession. A Harley rider, mountain climber, and devoted music lover, she is one of the industry's most individualistic characters. You just have to appreciate a gal who ends each CES by blaring Rage Against the Machine at top volume. Single-ended triode (SET) amplifiers are typically paired with horn loudspeakers, for good reason: most SETs produce very low power, so to get acceptable loudness you need a highly sensitive speaker, which means horns. Similarly, horn owners are often advised that the best amplifier for their speakers is a SET. Certainly, the horn-SET combination can be magical, but, in my experience, SETs are not the only type of amplifier that can sound good with horns. 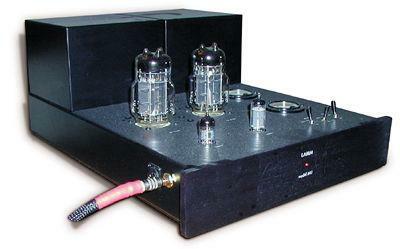 Reviewing a vacuum-tube power amplifier is like having your pants pulled down in front of a large crowd of people. I don't know how else to describe the feeling of spending a month or two luxuriating in fabulous sound, then writing a glowing review, then receiving a copy of the review as it will appear in the magazine, complete with John Atkinson's assessment of the amp's test-bench performance, which is usually miserable. Not since Sonus Faber's Amati Homage loudspeakers took up residence in my listening room has a piece of audio gear elicited so many "Oohs," "Aahs," and "Wows" from friends as Hovland Company's dramatic-looking, EL34-driven Sapphire power amplifier—especially when it was switched on and glowing orange and blue. It drew unsolicited attention and admiration even when turned off. Not that, on or off, its unusual looks didn't also have their share of detractors. 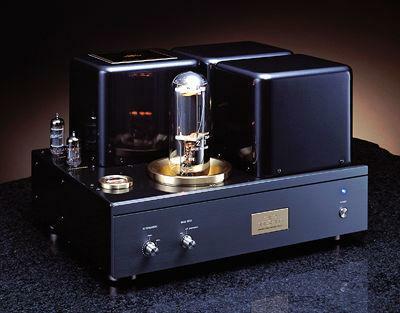 As with Hovland's chrome-façaded, blue-backlit HP-100 preamplifier, some found the Sapphire too shiny, too gaudy, and generally just too much. Me, I'm thumbs-up on the Sapphire's looks—I found myself staring at it incessantly. But anything that draws such intensity of response, whether love or hate, must be doing something right. B&O shouldn't have a monopoly on striking-looking audio gear. The VK-150SE stands tall at the top of Balanced Audio Technology's range. 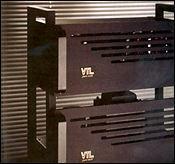 It and its smaller brother, the identical-looking VK-75SE stereo amplifier (or, sans the Special Edition mods, the plain VK-75, footnote 1), are related to BAT's first amplifier design, the VK-60. The company's partners, Victor Khomenko and Steve Bednarski, eventually realized that they'd made enough upgrades to the VK-60 to warrant a new model designation, and in 2000 they discontinued the VK-60. Bednarski explained that while the VK-60 accepted the upgrades with good results, the BATboys felt that, in order to fully realize the full potential of the 6H30 SuperTube, a new platform would be required. Enter the VK-75SE and VK-150SE. It's always good to tear into a good steak with Tor Sivertsen, Conrad-Johnson's main marketing man. "Larry—if I'd told you 10 years ago that McIntosh would be heavily into tubes in the 21st century, what would you have said?" 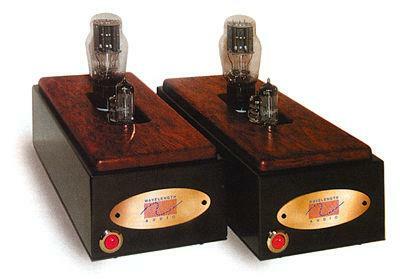 The last Lamm product I had my hands on was a pair of M1.1 monoblocks (see Vol.18 No.4, Vol.22 No.7). 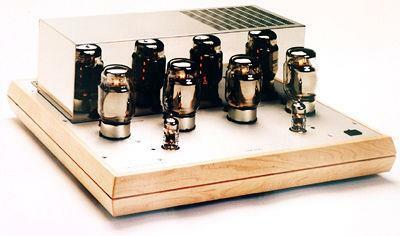 I liked those hybrid tube/solid-state amps quite a lot. I wasn't raised a McIntosh lad. My dad used Fisher, Bogen, Leak, and Ampex tubed electronics—and, at one time, even home-built speakers—to keep the house filled with a steady, enriching flow of Mozart. He never owned a Mac component, and, when going upmarket, reached for B&O, alas. 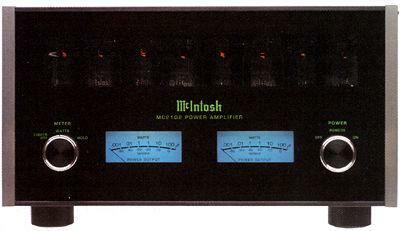 So while I knew that many audiophiles hold tubed McIntosh gear—especially the early designs—in very high regard, I was somehow never bitten or smitten. But let's face it—for lo these many years, McIntosh has been for many the name in quality American audio. Take my friend Dan, to whom I've referred several times in the pages of Stereophile. 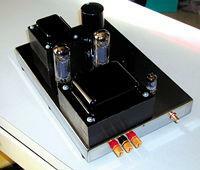 He runs a tubed Conrad-Johnson 9 preamplifier, but wouldn't dream of giving up his 270Wpc solid-state McIntosh MC7270. He's goldurn proud of it! Nagra's VPA amplification system consists of two slim, handsome monoblock amplifiers intended for vertical placement. They look good adjacent to the speakers. However, two 845 tubes put out a lot of heat, so the amplifier should be at least a foot away from your speakers...unless you're looking for a nice crackle finish. Conrad-Johnson is one of audio's "marquee" companies, and charges accordingly. The Premier Twelve tube monoblock power amplifier, rated at 140W, sells for a rather steep $3495 each, meaning that unless you listen in mono, be prepared to lay out almost $7000 just for the amplification link in your audio chain. Apparently, many audiophiles feel the money is well spent: according to Conrad-Johnson, the Twelve has been a consistently strong seller during its approximately five-year production history. How much power do you really need? What does it do for you, anyway? Even before the single-ended renaissance, the prevailing wisdom was that you really didn't need that much power. When I had a pair of Met 7 speakers, even the "1 watt" indicator LED was hardly ever lit. Ditto for my time with a Threshold Stasis Two—all those cool power-indicator LEDs just sat there dark. Besides, everyone knows that power can be had only at tremendous cost, both monetary and in terms of other performance attributes.